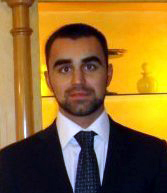 Iskander Rehman is a PHD candidate specializing on Asian Security Issues at Sciences Po in Paris, and preparing a dissertation on the Indian Navy and India’s maritime strategy. He has written for Asian Security Journal, as well as several think tanks. He is also a regular contributor on strategic matters for BBC World. Currently Visiting International Fellow at the Institute for Defense Studies and Analyses in New Delhi, he is also affiliated to the French Ministry of Defense.